The Davison St. Guest House is located at 19 Davison, at the intersection of Lake Mary Rd., in Mammoth Lakes, California, a six hour drive from both Los Angeles and San Francisco. As can often happen in rustic locations, street names on maps can be in error. Please note that while we locally refer to our street as "Davison", some maps have "Davidson". If you are looking at a map of Mammoth Lakes, either spelling is the correct street. 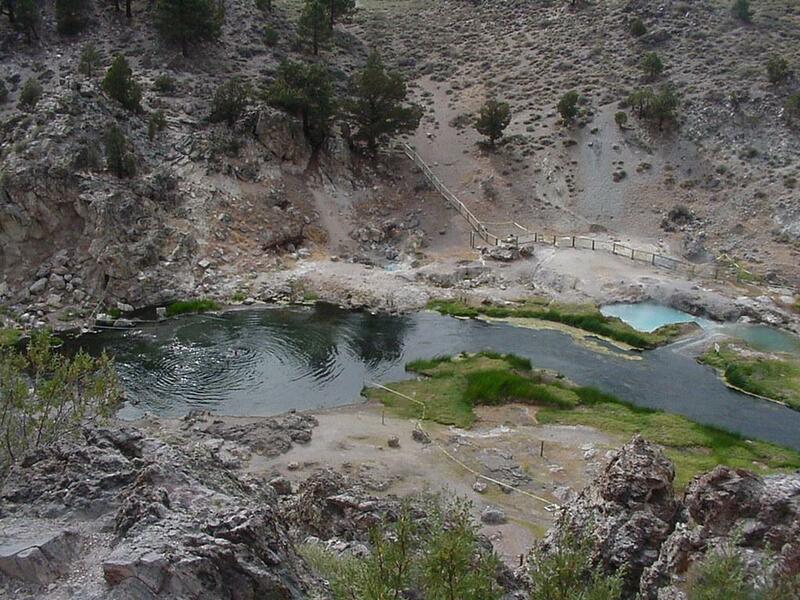 From Highway 395, take Highway 203 West 3 miles to the town of Mammoth Lakes. Go up Main St. through two traffic lights, past Minaret Road, and then 3/4 mile towards the fishing lakes (Main St. becomes Lake Mary Rd. 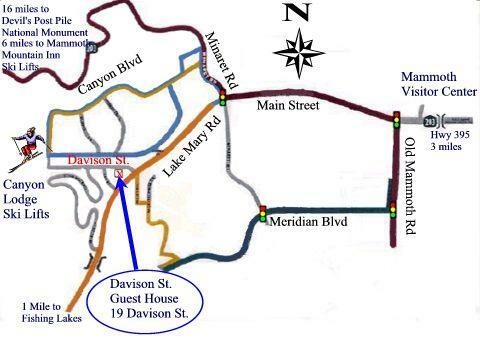 ), and turn right at Davison, which is the first right turn after the turnoff to the Canyon Lodge ski area. The lodge is at 19 Davison - it is the first building on your left after you have turned right onto Davison. Please note that some of the directions provided by 3rd party map sources may not be the shortest route to Mammoth Lakes and/or may not be passable in winter. Please e-mail or contact us for current conditions and efficient driving directions. From time to time, a group has rented the entire lodge, which closes it to walk-in guests. You can check this out by either stopping by or by telephoning the manager or the owners. If you have access to Instant Messaging, and we are on-line, we would be happy to chat with you. Our user name is: carlmaggy.